And How Does the Job Differ from Concrete Repair? 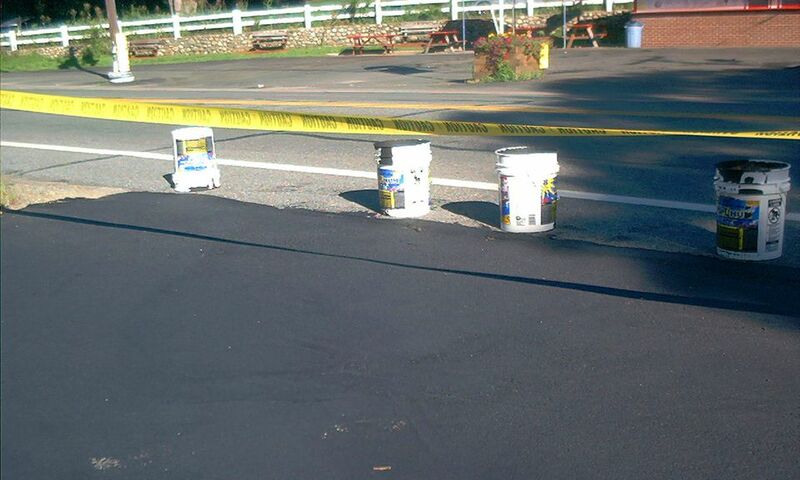 Do-it-yourself asphalt driveway repair, if done in time, can save you a lot of headaches later. But, of course, as with any DIY project, the devil is in the details. Here is some information to help you do the job correctly. Repairing asphalt driveways and fixing concrete drives both entail similar work, but asphalt is a more specialized product than concrete, meaning the materials you shop for to do a repair will be less familiar (well, to most of us, anyhow). So be prepared to put more effort into buying the right product for the job. Concrete driveway repair can be accomplished through an application of—you guessed it—concrete, which is readily available at home improvement stores. In addition, whether the crack is 1/2 inch wide or 2 inches wide, you can still fill it with plain old concrete. Thus you can keep it nice and simple; although, if you wish, you can buy more specialized products. Instructions for the Latex-ite crack filler say it must be "at least 55 degrees Fahrenheit and rising" to apply the product. You can use Crafco HP Concrete Cold Patch at any temperature between 30 and 100 degrees Fahrenheit according to their website. With the shopping out of the way, we can turn to the work involved in repairing asphalt driveways and fixing concrete drives. If weeds are growing out of the cracks, pull them. Clean the cracks, using a strong spray from a garden hose. When the crack is deep, fill it to within 1/4 inch of the surface with sand. Apply patching compound (for asphalt driveway repair) or concrete. Note that these instructions pertain to asphalt and concrete driveway "repair," by which we refer to do-it-yourself projects that involve minor cracks (2 inches wide or less) in the pavement. More serious damage should make you contemplate replacement, which must be handled by professionals. Note also that the job described above, which is specifically a repair job, is not the same as that referred to when we speak of sealing an asphalt driveway. The latter is maintenance that needs to be done periodically, regardless of the state of repair that your driveway is in; that is, it is preventive in nature.